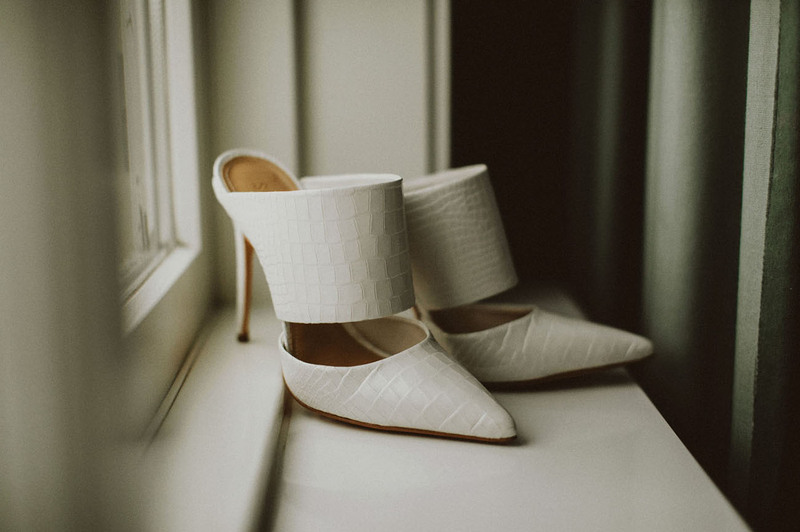 Would you rather elope or plan a large wedding? 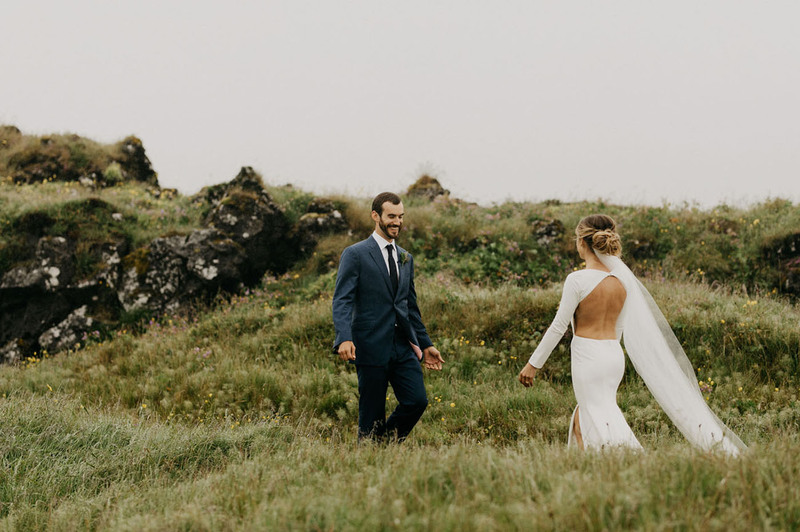 At GWS, we definitely see our fair share of both—but in the last few years, eloping is definitely becoming a very popular route. 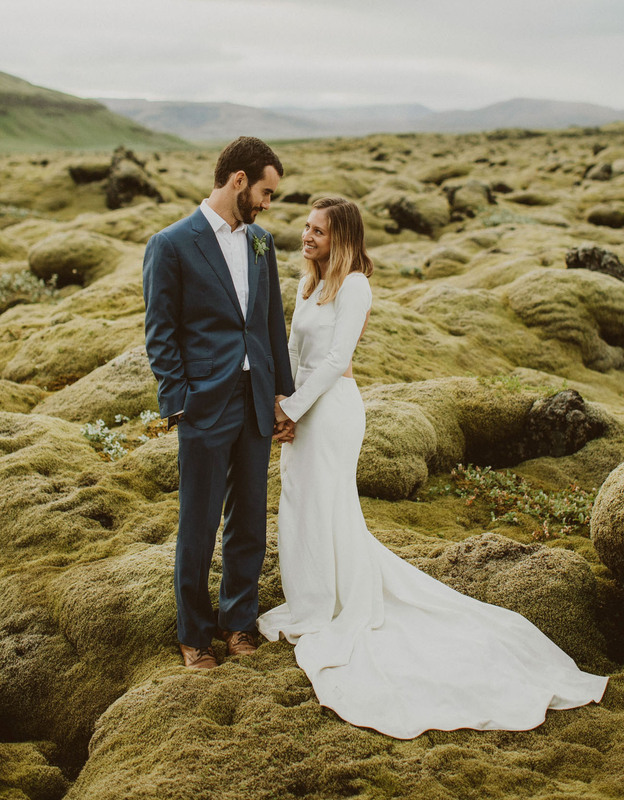 Today’s stunning elopement—that started with the couple taking a road trip through Iceland—culminated in one dreamy + intimate day in the countryside. 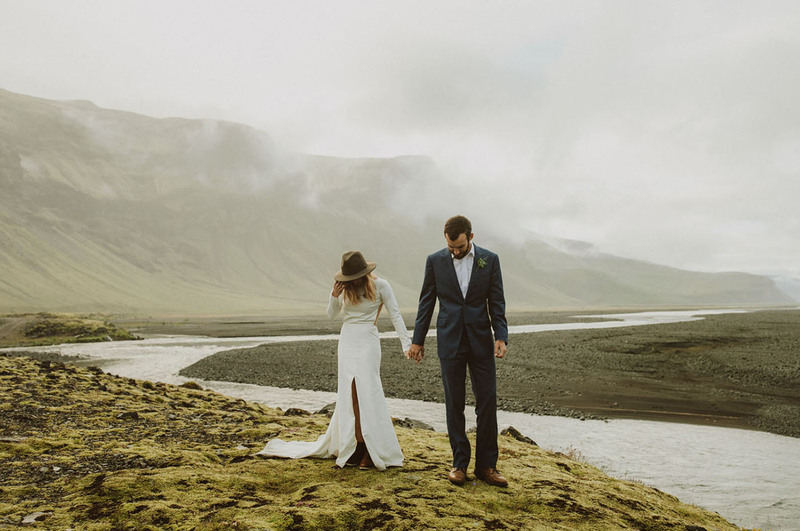 The two wanted to ditch the stress of planning a big wedding, so they invited all of their closest family members to the rainy valley. 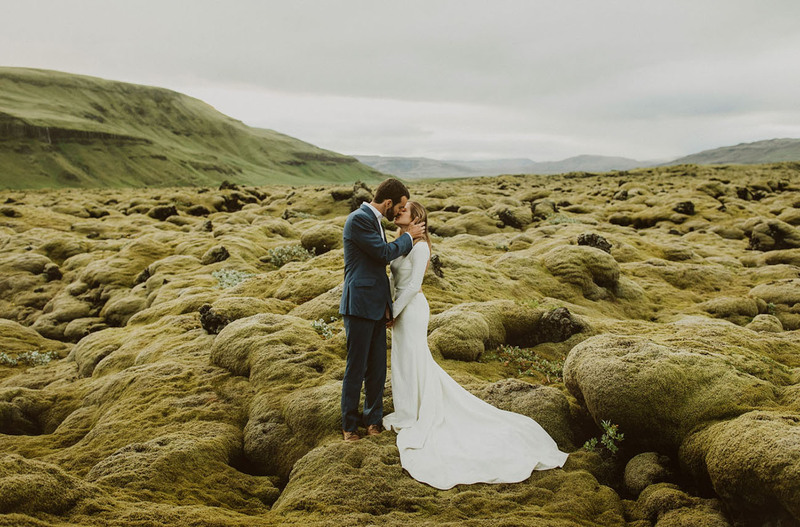 India Earl, their talented photographer, shares: They spent the week leading up to the wedding scuba diving between tectonic plates, hitting hot pots, having bonfires on the beach, and riding horses. We shot their portraits the next day, while we traveled across the entire country from the West to the East. 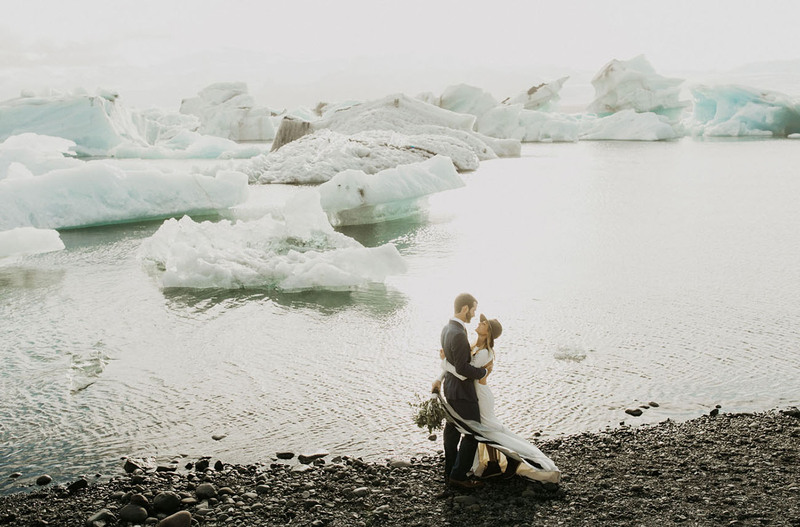 We shot at an ice lagoon, vast valley stretches, moss fields, and a black rock beach. 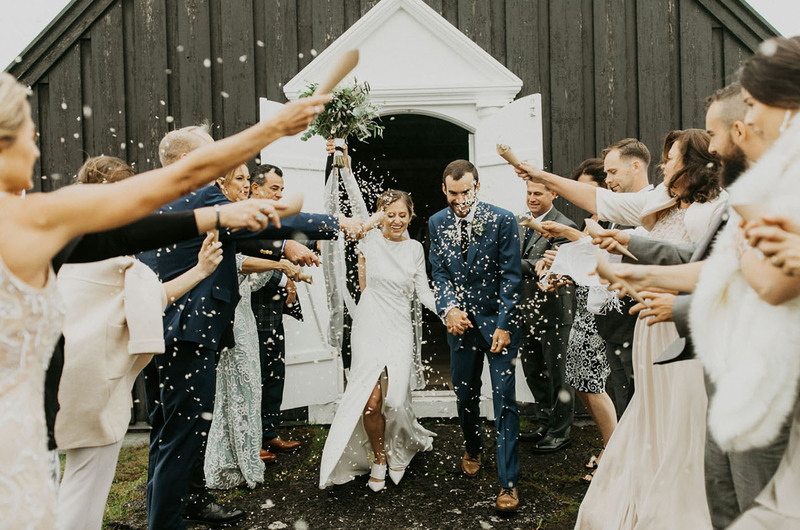 For their first look, they decided to share their vows privately, with tears streaming down their faces along with raindrops. How darling is that little chapel? 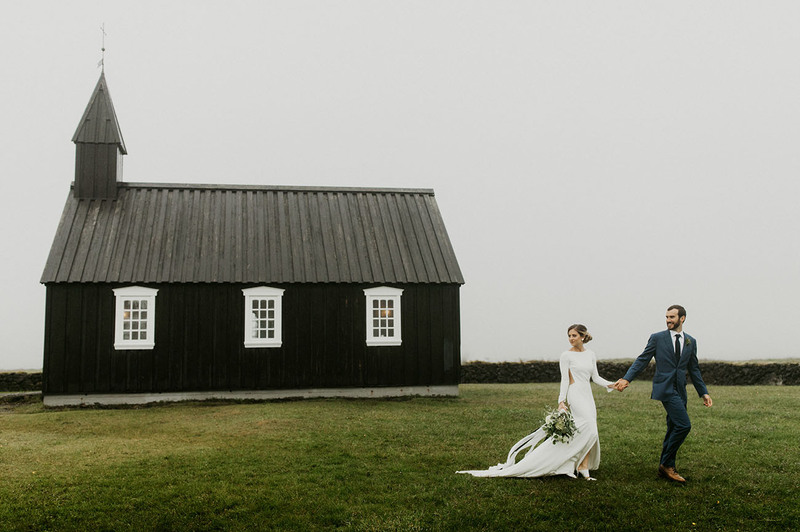 They married in the Budir church on a foggy, rainy day with a traditional Icelandic ceremony. 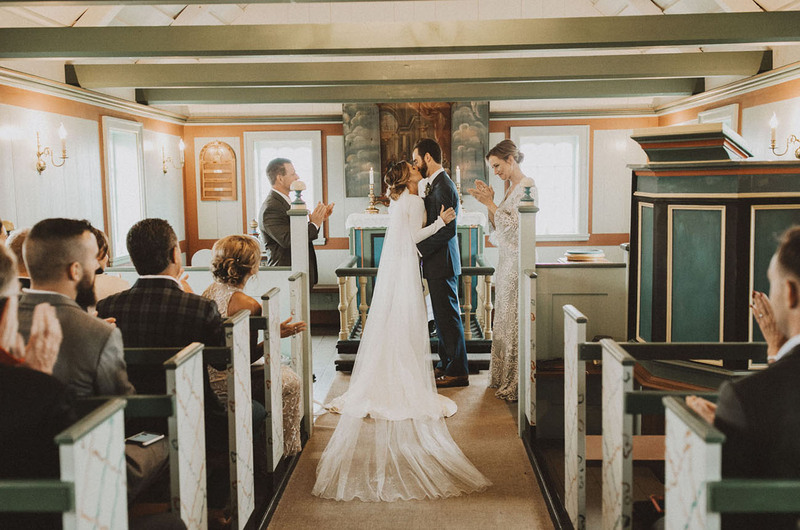 Cailin + Joe share: We felt that to really be able to take in the awesomeness and magnitude of promising your life to someone else was to have an intimate wedding with surroundings that reflected the love we have for one another. We didn’t want any extraneous distractions or tight schedules. 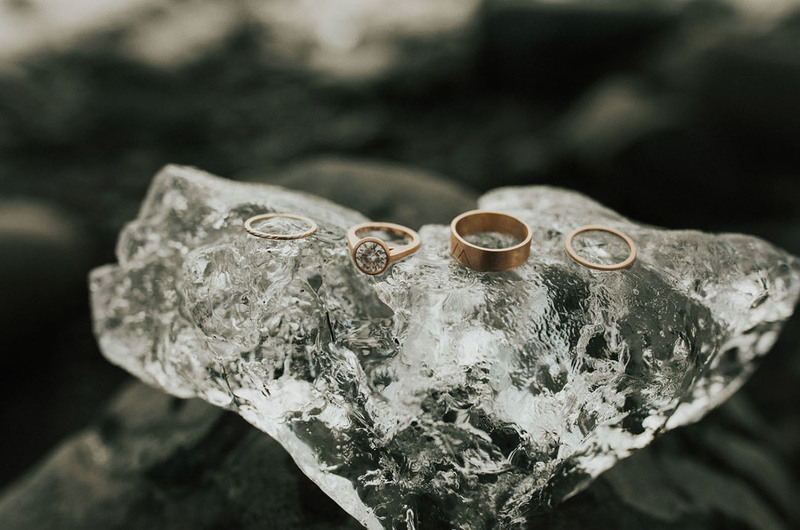 We wanted to encompass our wedding day in the things that really mattered to us which was our family, our love for adventure, and our commitment to each other. 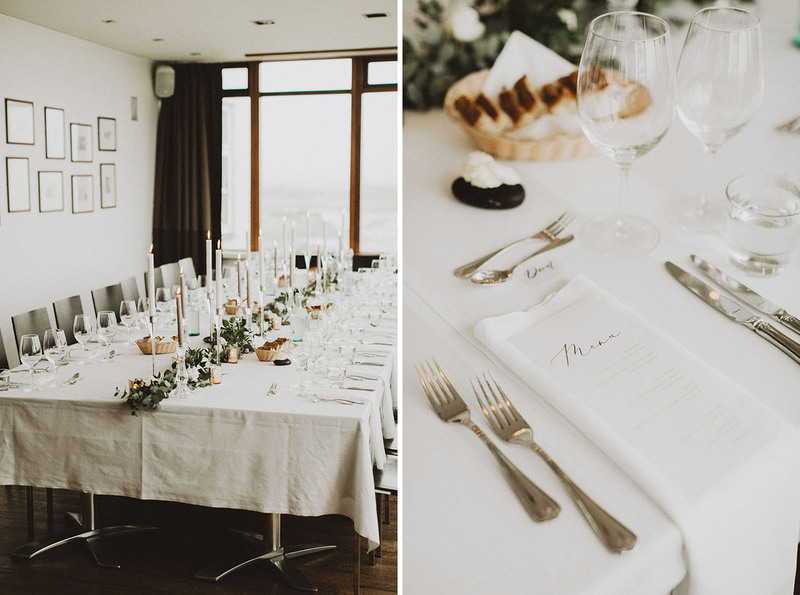 We presented it to our friends and family as “an awesome trip to Iceland where we happen to get married.” So, with that being said we took a minimal approach to the actual wedding details like table settings, flowers, clothing, even the colors surrounding the wedding. 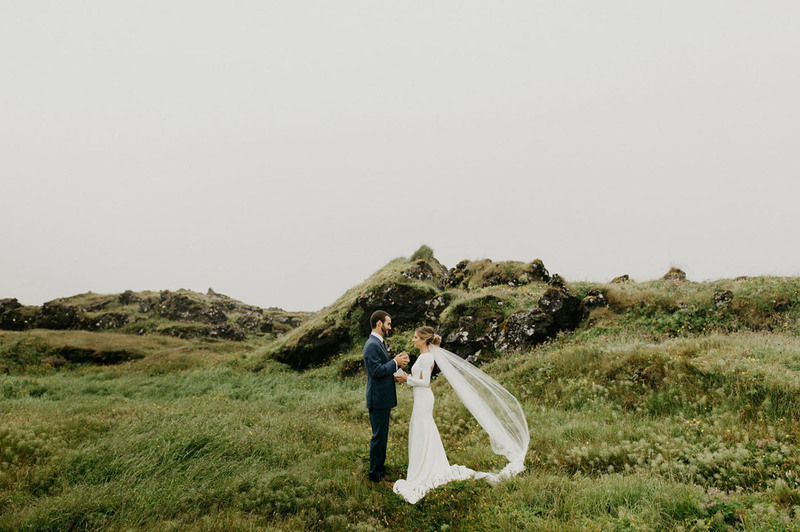 We wanted to really highlight what we felt would make the most impact on our wedding day, the stunning Icelandic surroundings and the love of our family and friends. 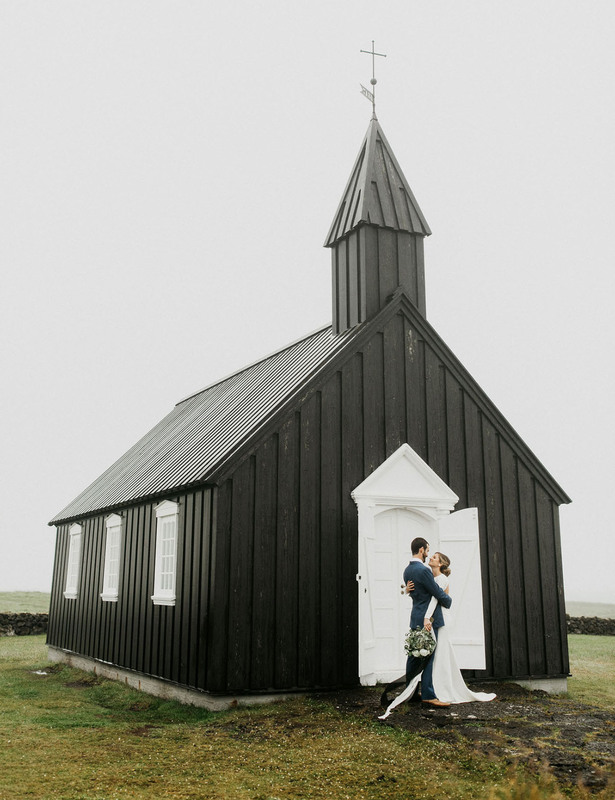 Both of our families are more familiar with large traditional weddings so having them come to Iceland in this crazy beautiful remote area with a tiny, lone black church in the middle of a seaside lava field for our intimate wedding was surreal. It was really cool to see our guests understand and connect with why we travel as much as we do and it added a sense of awe to the entire day. 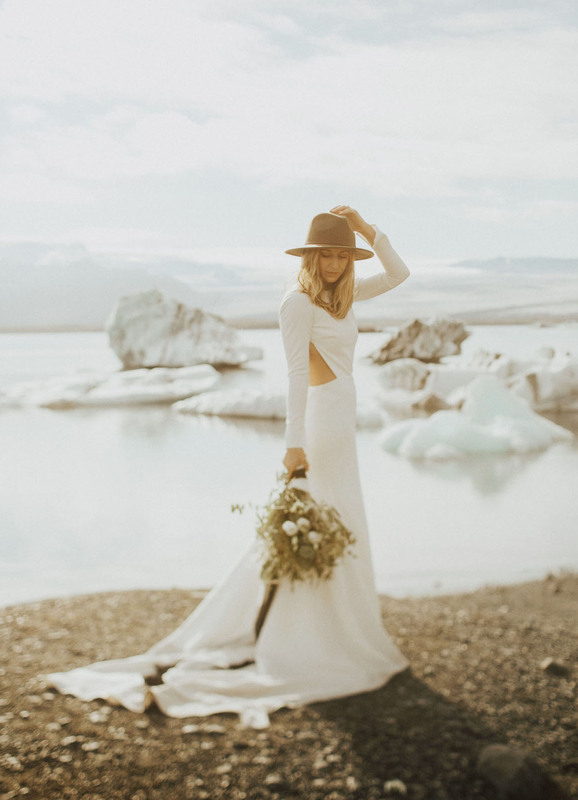 Who else is mesmerized by her Sarah Seven gown? 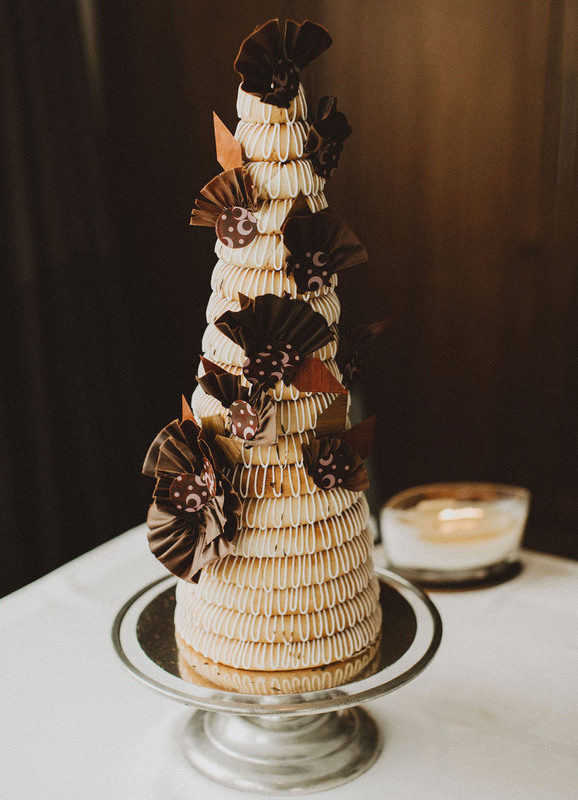 We also love that the ribbon on her bouquet by Thordis Anna Zophia complemented the chapel. Cailin’s mom brought her grandmothers brooch to pin to her bouquet as she walked down the aisle. 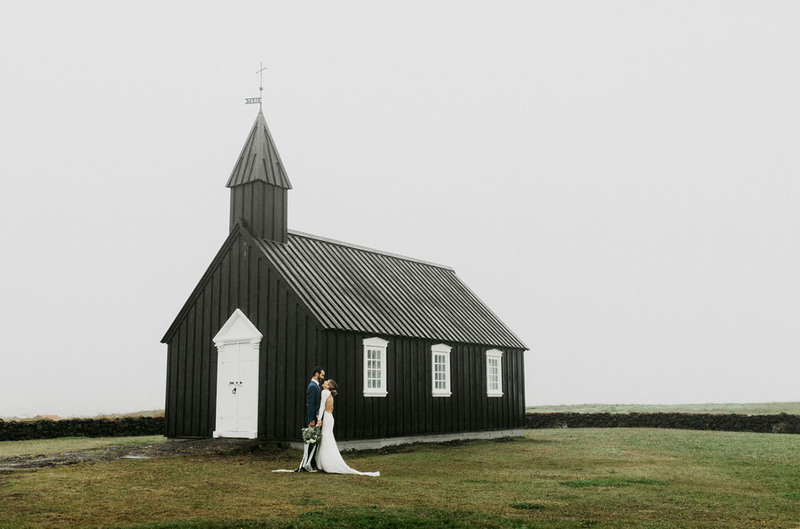 Their wedding dinner was held in the Budir Hotel, just a short walk from the church. 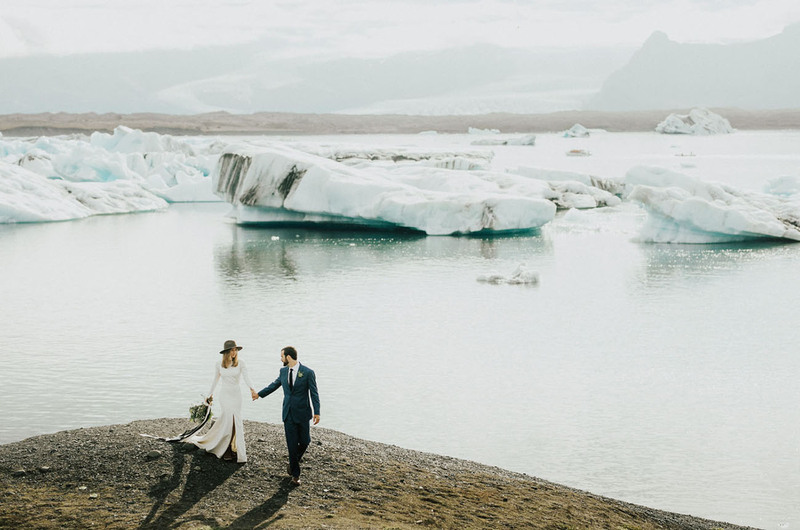 They gifted each of their guests custom paintings with an Icelandic theme, gave toasts, cut their Icelandic wedding almond cookie cake, and danced throughout the never-ending evening. Joe and Cailin bought each guest a unique watercolor painting of from a local Icelandic artist and placed them in the chairs at dinner as gifts. 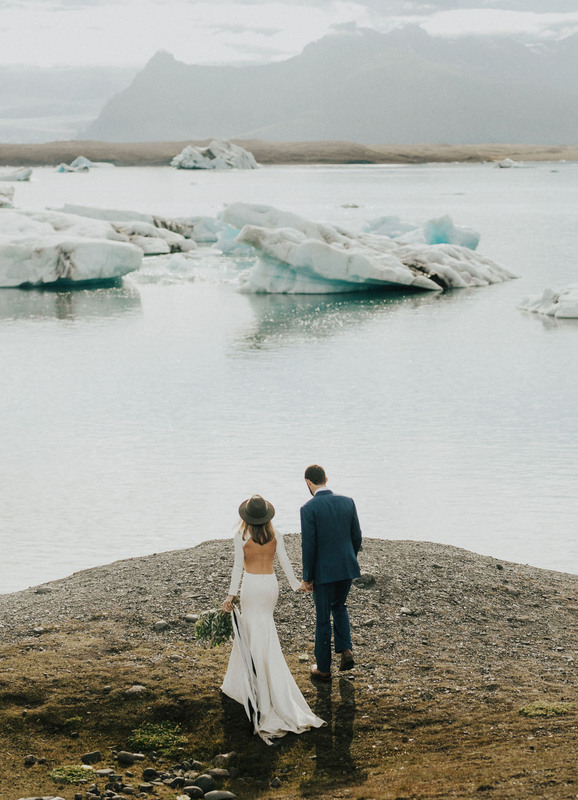 Newlywed photos near icebergs?! You betcha! Stay true to you and your significant other’s style/relationship. 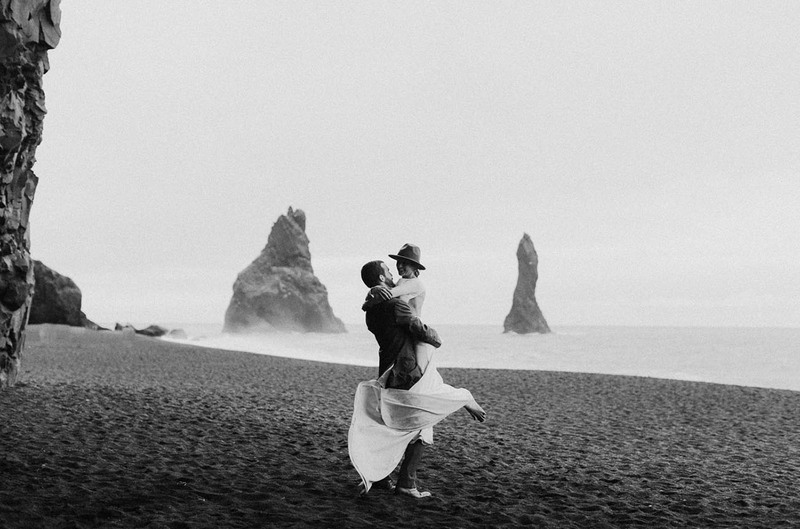 Your wedding day is about you guys and your love however cool, loud, serene or wacky it is. 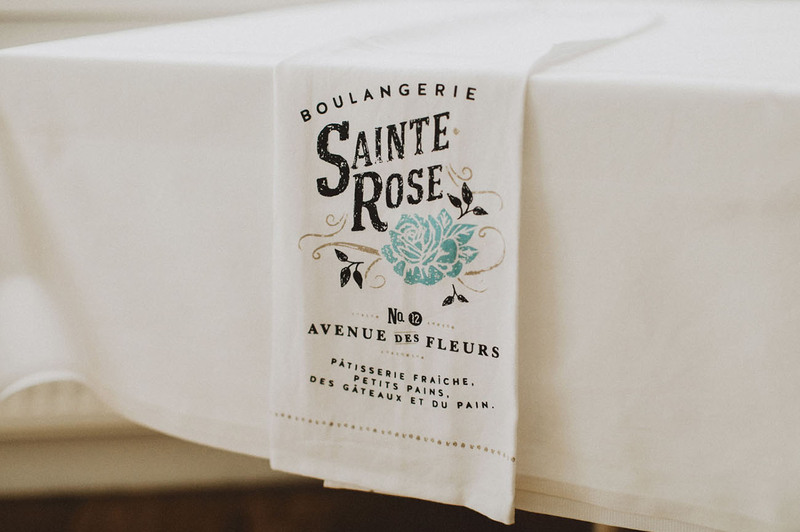 Don’t do something on your wedding day simply because it’s expected. You’re doing a really cool thing by telling someone you’ll love them unconditionally until your time runs out so have fun with it and make it your own! Bride: Oh man, so many. For me, it was reading vows that we wrote to each other privately before the ceremony. 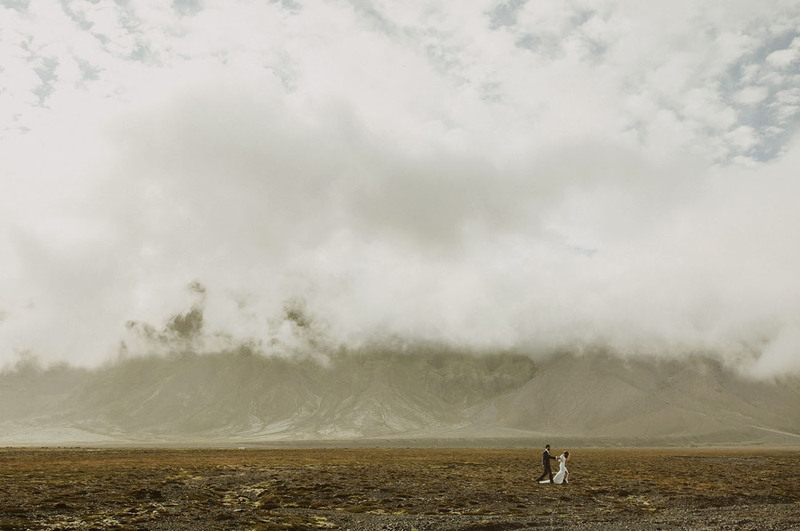 To be able to share an intimate moment like that before the wedding with no one around was so calming and centering. It gave me the chance to remember what that day was really about: Joe, me, and starting our forever. Groom: Our first dance. It was nice to slow down after the ceremony, photos and toasts and have a bit of time just between us. We were able to step away from the guests and be in that moment together. 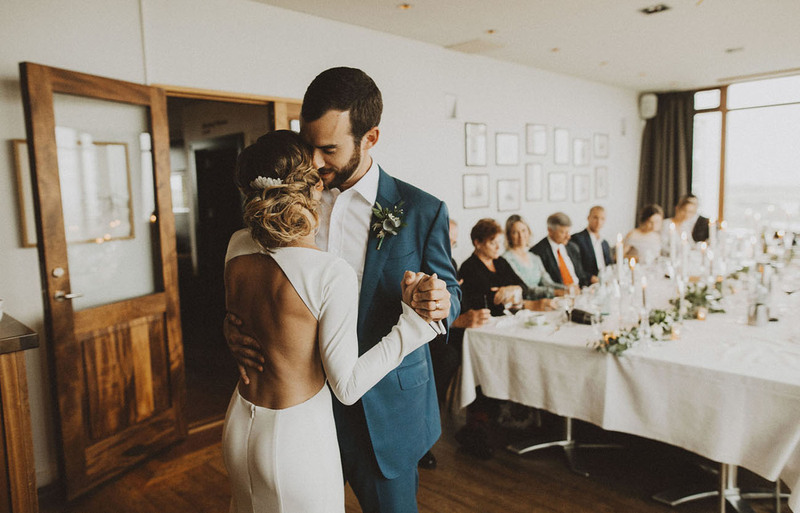 Being present on the wedding day was really important to me and our first dance was the perfect time to take it all in, surrounded by friends and family. Unforgettable. 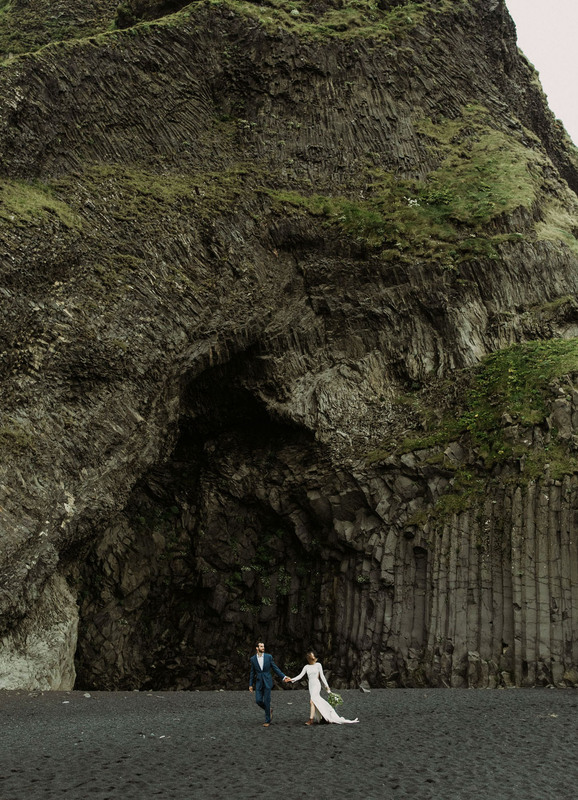 Some final parting words from C+J: We highly recommend a small, intimate wedding. Surrounding yourself with the people that love and support you the most creates the best setting to celebrate and begin your marriage. We were overwhelmed with the love that encircled us on our day and wouldn’t change it for the world. Can’t. Get. Over. This. Photo. 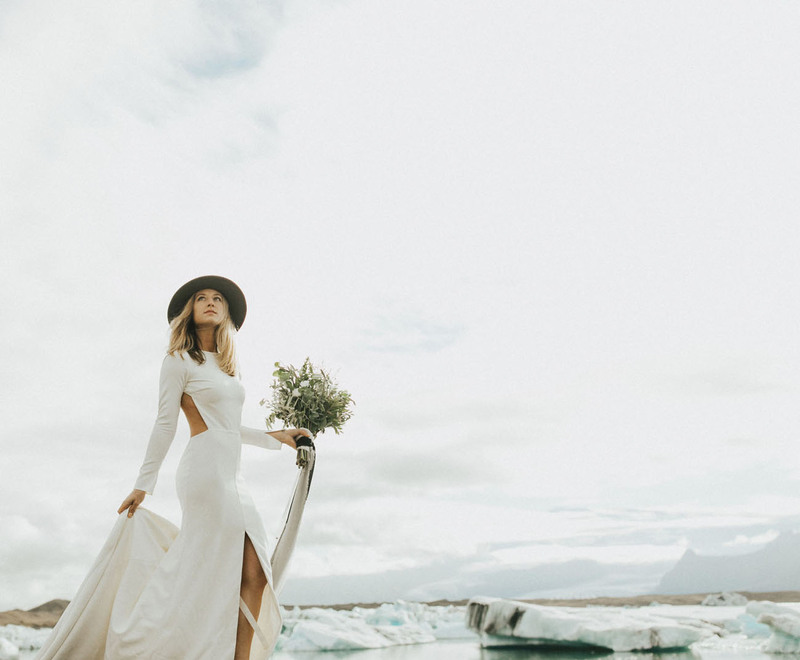 What a gorgeous location ! This location is breathtaking, really love this work. 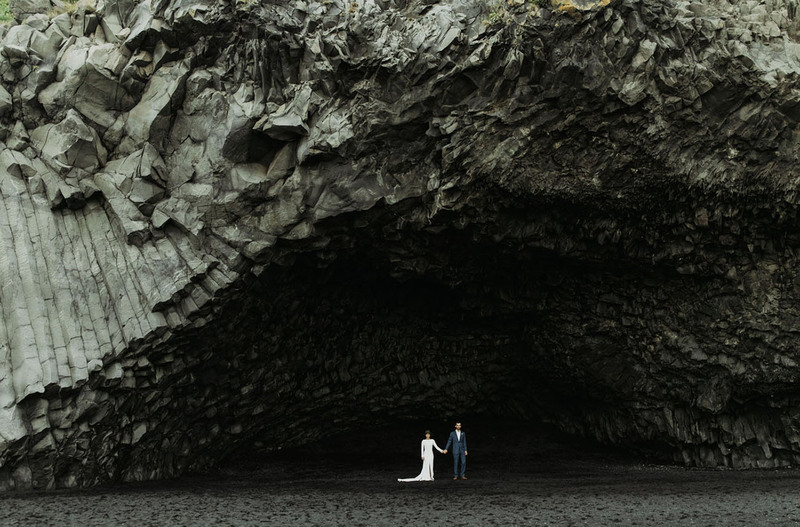 Bucket list kinda wedding here! I really like that walking shot towards the end, great scene!